Hey, NY friends – what are you doing next Thursday? 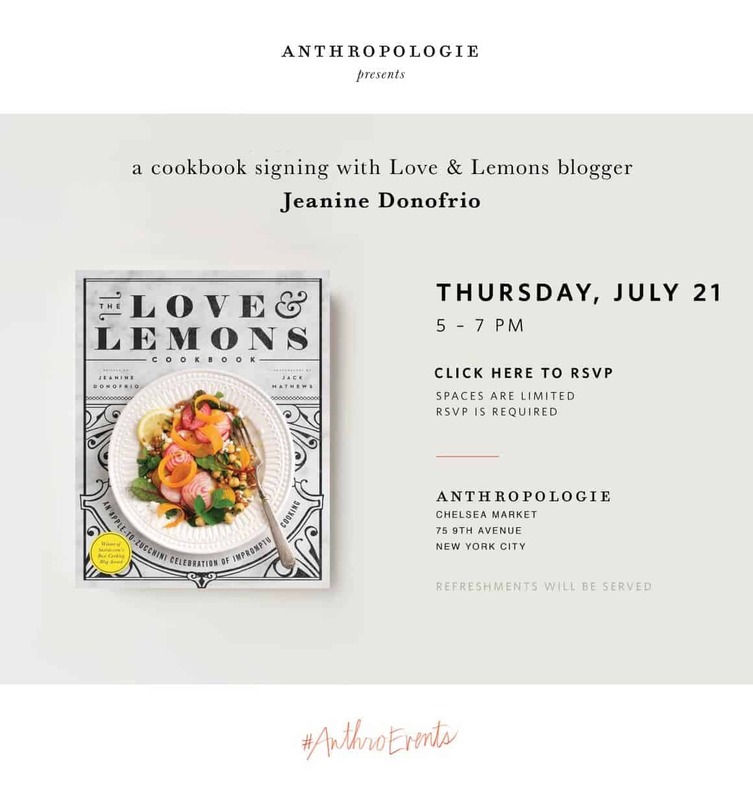 If you’re free, come meet me between 5-7pm at Anthropologie at Chelsea Market. I’d love to see you and say hi! I’ll be signing cookbooks and there will be snacks. The event is free, but RSVP HERE.